Ald. Donald Wilson (4th) at Monday’s City Council meeting. Wilson spoke in favor of introducing coach houses as affordable rental units. 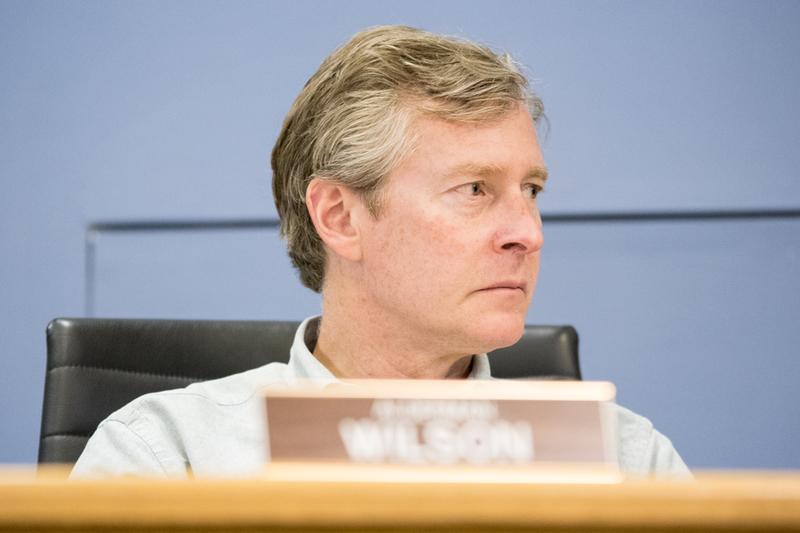 Aldermen amended city code at an April 23 council meeting to allow the rental of coach houses to non-family members, a change that aims to increase affordable housing in Evanston. The amendment passed unanimously, changing city policy that formerly only allowed property owners to rent out coach houses or detached garages to family and friends, said Evanston housing and grants division manager Sarah Flax. Flax said the change in the code will also lead to a needed increase in available rental units for Evanston’s growing population of renters. Sue Loellbach, manager of advocacy for Connections for the Homeless, said she was pleased the city made this amendment, as many of these dwellings would be located in single-family housing zones. She said allowing for more affordable housing in these areas would increase the standard of living for potential low-income renters. Ald. Donald Wilson (4th) said expansion of affordable housing was the primary goal in amending the code. Officials said the affordable housing opportunities didn’t just apply to individuals qualifying for subsidized housing — senior citizens could also benefit from this code change. Flax said individuals with grown children could benefit as well, as they often find their houses have become too big for them. These families could choose to live in their main property and rent out their coach house to generate extra income, she said. Flax said the next step was for City Council to approve the rental of any accessory dwelling, not just coach houses. She said visible effects in the community from these code alterations were contingent upon Evanston residents embracing the new housing options. If they do, the city could see drastic changes in real estate, such as repurposing accessory housing in alleyways as “laneway houses,” she said. Wilson said with the rising costs of building high-rises, it would be frugal to examine how existing properties could be reappropriated.